Every once in a while I get the urge to write a review of another author's works because I am compelled to share it with the world. This will be one of several blog posts that include my new favorite authors and their books. For my first review and interview post, I chose to cover Craig Owens' newest book, "Haunted By History, Volume 1." This is not your traditional haunted history book by any means! In fact, the unique design and format of this book seems to be what caught my eye from the start. For one, the book is printed on some of the finest quality paper. It is truly a coffee table book you can keep forever, and trust me, you'll want to. Author, Craig Owens' choice of locations for his first volume of this series is nothing short of amazing. It is clear that Owens' research on each hotel within his one book surpasses most, if not all other books that individually cover each one. The book is 393 pages of thoroughly vetted historical research, intriguing stories of paranormal experiences and best of all, incredibly ingenious photography. Besides being a skilled storyteller, Owens is also a very accomplished photographer. Not only do you feel like you are pulled into each history with his writing, but you also feel as if you are peeking through a window into the past with each turn of the page, by viewing every photo still published within. "Spooky Night" at Glen Tavern Inn, Copyright: Craig Owens. Recently was able to speak to Craig Owens directly and he was kind enough to answer a few interview questions I had for him about "Haunted By History, Volume 1." J'aime (Q): Craig, when did you decide to write "Haunted By History?" Craig (A): "The book project unofficially started in 2009, while I was doing a vintage photo shoot at the Mission Inn. Although I had heard that the Inn was haunted, I wasn't there to ghost hunt. I did, however bring a couple of audio recorders just in case something odd happened during my four-day stay there. Well, as you might have guessed, a few odd things did indeed happen. On my second day at the Mission Inn, I recorded a woman's voice inside my suite after hearing the sound of heels clacking in the upper loft area. Because I was alone at the time, the sounds startled me. But the most unsettling experience occurred after midnight on my last night there. 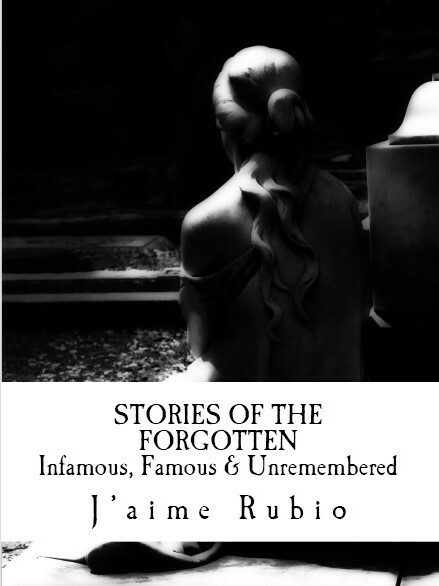 As I walked across the courtyard on the fourth floor in front of the Inn's Alhambra Suite, I saw a short, two-dimensional, inky black shadow dressed in some kind of a cowl peeking around a corner from an adjacent hallway. At first, I thought it was a shadow, until it suddenly darted out of sight from the corner. 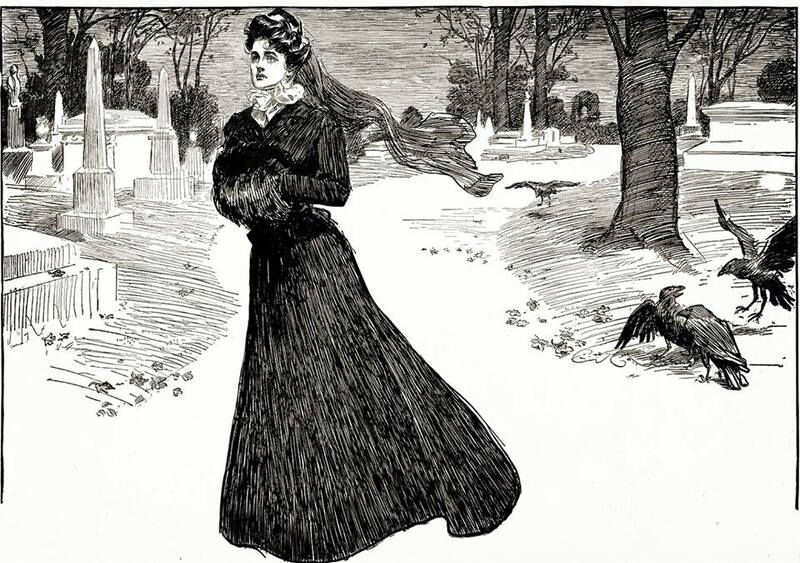 Having never seen a ghost before, I tried to find a logical explanation for it, but I couldn't. It shook me up and after I returned home, I slept with the lights on for the next ten days. I also became very curious about the Inn's history apart from the information found on the Internet. But my fascination with the paranormal isn't the sole reason for writing the book. I had non-paranormal reasons for writing it, too, such as my love for historic hotels. In 2006, Los Angeles had already lost the Ambassador Hotel. Thanks to the Great Recession a few years later, other hotels fell into dire straits. In late 2010, a bank foreclosed on the Aztec Hotel in Monrovia. Around this time, another bank foreclosed on the Pierpont Inn in Ventura, California. So in 2011, I decided to create a coffee table book that called attention to a handful of these existing hotels and beds and breakfasts, and I wanted to celebrate each one for what they are: great places to travel back in time using the ol' imagination. But I didn't want HAUNTED BY HISTORY to be a rehash of information found in other books. I wanted to fact-check everything while conveying a sense of fun and history in a unique, unusual way." J'aime (Q): Which location's history was your favorite? Craig (A): "My favorite is the Alexandria Hotel in downtown Los Angeles. Not only was it the city's first five-star hotel when it opened in 1906, but it later became the main social center of the West Coast motion picture film colony from 1914 to 1921. Mary Pickford, Charles Chaplin, Rudolph Valentino, Gloria Swanson, D.W. Griffith, Buster Keaton all partied there. And yet, despite all its glamour and gaiety, wealthy people also checked into the hotel to carry out very unusual suicides." J'aime (Q): So what are your plans for the future? Is there a Volume 2 in the works? Craig (A): "Yes, I am working on a Volume 2, which covers the Amargosa Opera House and Hotel, Culver Hotel, Aztec Hotel, Zane Grey Pueblo, Bella Maggiore Inn, Grand Colonial Hotel, Palomar Inn and the Queen Mary. Obviously, I would love to continue with the series. There are plenty of photos to take, people to meet, research to conduct, and urban legends to expose. But the future of Haunted by History really depends on the audience. Do readers really want to know the history of the place? Do they want to know if the ghost legends are real or are they cooked up for marketing? Do readers like my photos and do they conjure up a sense of fun and make people want to visit these hotels for themselves? 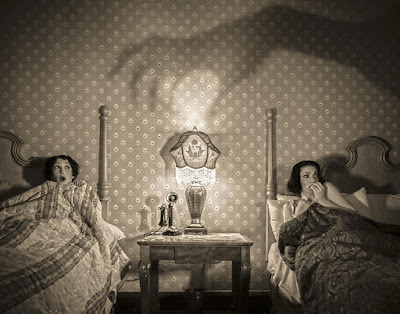 Because Haunted by History requires a lot of research, and eye-catching photography, its future depends on those who love history, and the paranormal." It is easy to see how passionate Craig Owens is with keeping the history accurate by his impeccable research. At the same time he still manages to keep his audience engaged with palatable writing and exquisite photography. My own opinion is that Haunted By History is a fantastic read from cover to cover. The book itself is massive, so it will take you some time to read it all, but that is the best part of it. The first night I began to read it, I read two chapters and put it down to enjoy on another evening. It took me almost two weeks to finish the book, but I enjoyed every minute of it. It is like a delightful box of chocolates that you want to hold on to and savor a little bit at a time. 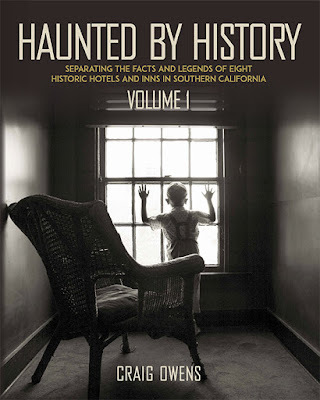 To purchase your copy of "Haunted By History, Volume 1," please head on over to Bizarre L.A.'s website or you can pick up a copy on Amazon, too. Photos: Copyright, Craig Owens, Sad Hill, LLC.